Congratulations to this week’s Fox Sports 1400 High School Football Player of the Week presented by Rockie Bull Allstate Insurance. For the second round of the playoffs, it is Union County High School Quarterback Kesean Glover. 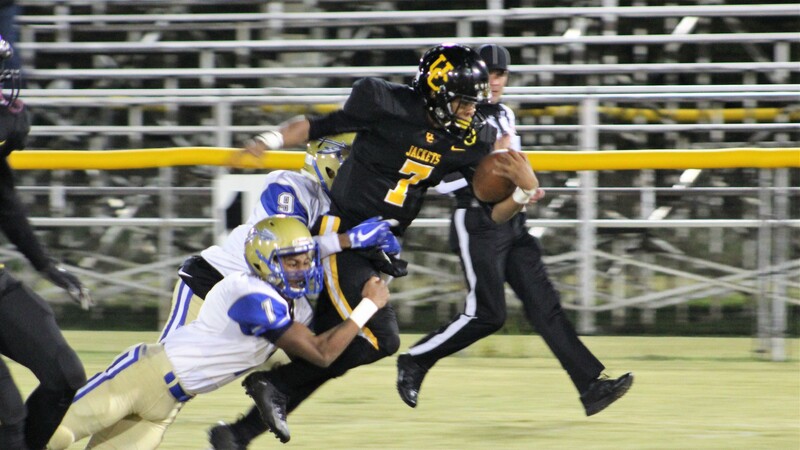 In the Yellow Jackets’ 55-15 win over Indian Land, Glover rushed 19 times for 243 yards and 4 touchdowns. Glover also was 3 for 5 passing for 94 yards and a touchdown. Union County had 551 yards of total offense including 457 on the ground. Union County will travel to Chapman on Friday in round three to take on the Panthers. Union County and Chapman faced each other to open the season with the Panthers coming out on top. Congratulation to Player of the Week Kesean Glover!